The University of Central Florida has become American Athletic Conference Champions after defeating Memphis at home 62-55 at home. After a back-and-forth scoring series between the No. 1 and No. 2 highest scoring offenses in the country, the game went into overtime after Memphis missed a crucial field goal with seconds left in the fourth quarter. A shootout began in the Knights first overtime of the season – both teams scored in the first round and UCF began the scoring in the second round. A slew of penalties kept the stadium on edge as Memphis was pushed back, later gaining a first down off a 4th and 7. And just five yards from the UCF end zone, Tre Neal intercepted a pass from Tigers’ QB Riley Furguson to call the game and ignite Spectrum Stadium. The Knights are undefeated in the regular season and in conference play. 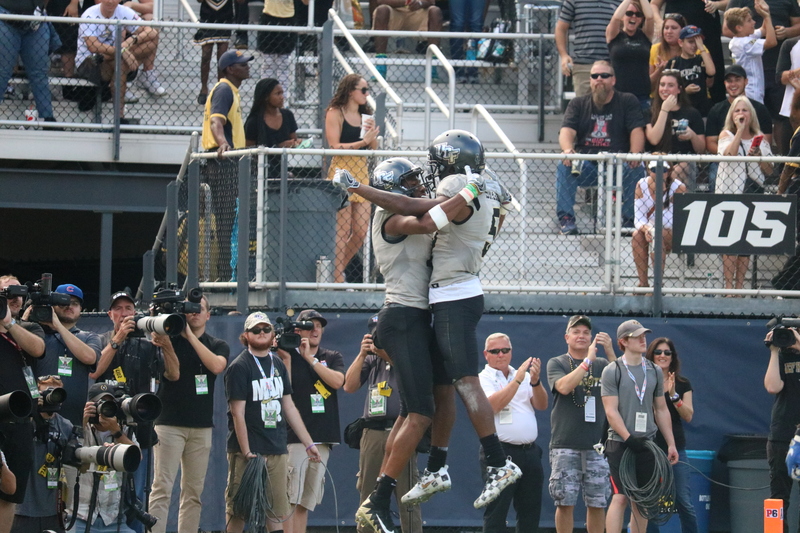 UCF will head to a New Year’s Six Bowl for the second time in five years. Stay tuned with @UCFKnightNews for a full game recap and post-game story.